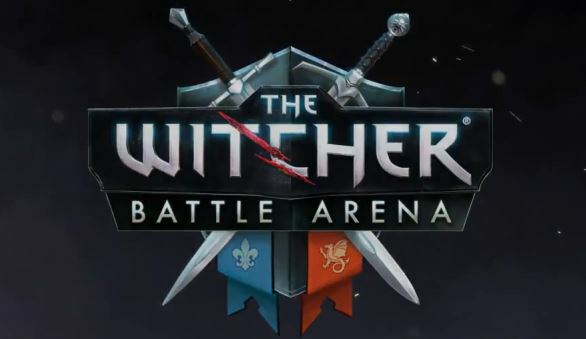 Just nearly 12 hours ago, CD Projekt RED unveiled its latest project, The Witcher Battle Arena. The reveal itself came in the form of a short teaser/trailer and a website dedicated to the upcoming game. The Witcher Battle Arena is an upcoming free-to-play MOBA (multiplayer online battle arena) which was designed exclusively for mobile devices, particularly for iOS, Android, Windows Phone, and Windows Tablets. Although there is no specific date set for the game’s release, it is supposed to come out sometime later this year. Some are going far enough to speculate that it may not be released until the fourth quarter of this year or around the holidays. While many familiar MOBA characteristics seem to be present in The Witcher Battle Arena, it may very well make its own unique mark in the MOBA genre. Within the upcoming game, players will participate in fast-paced three-on-three matches as they seek to overpower their opponents while maintaining control of an arena in a conquest-style fashion. Thus far, there are going to be eight playable characters from The Witcher universe for players to choose from, but a fair amount of people would imagine possible additions to this roster. To be specific, the eight characters mentioned include the “Assassin of Kings” (Letho Gulet), a nonhuman terrorist leader(Ivoreth), a sorceress (Philippa Eilhart), a Dwarven adventurer (Zoltan Chivay), a molten-rock-like humanoid creature (The Golem), a queen and skilled-archer (Eithne of Brokilon), a dragon who takes the form of a human (Saskia of Aedirn), and a mysterious mage (The Operator). Detailed descriptions of each of the aforementioned characters can be found on the upcoming game’s website (linked below). The few things that set The Witcher Battle Arena apart from other MOBA’s are what make it interesting. With mobile gaming devices in mind, the game was designed so that players would have easy accessibility to complex tactics with relatively simple commands. Going further, it is evident that the game will feature various skill-based strategies for players to take advantage of when in combat. Perhaps the most compelling unique aspect of The Witcher Battle Arena is its apparent focus on “fairness.” As opposed to some other games in the genre, everything within Battle Arena will be able to be unlocked by players for free through the sole action of gameplay. However, players who wish to unlock items faster than normal can do so by upgrading for a reasonable price. Nevertheless, at the end of the day, everyone who plays the game will have access to every item or unlock. Quoting words from Tadek Zieliński, a Creative Analyst at CD Projekt Red, “In a world full of enter-your-PIN-number-to-win mechanics, what we value above all is well-balanced and honest gameplay … Battle Arena is all about skill and dedication, and we’ve spent hundreds of hours planning to make it a paragon of fairness in mobile gaming.” The Witcher Battle Arena is designed by CD Projekt Red and developed by Fuero Games. Feel free to watch the trailer below and visit the game’s website which is also linked below.